Ride Further Tour is on! 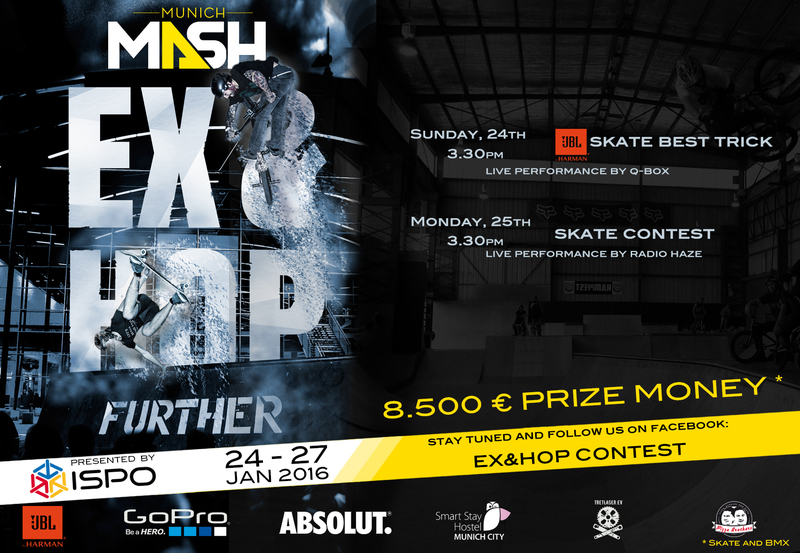 The Munich-Skate-Contest-Season 2016 starts with its first event on Sunday 24th of January. The Munich Mash Ride Further Tour Contest presented by ISPO Munich will host the JBL-Best-Trick-Skate-Contest to see some serious riding by national and international skateboarders!